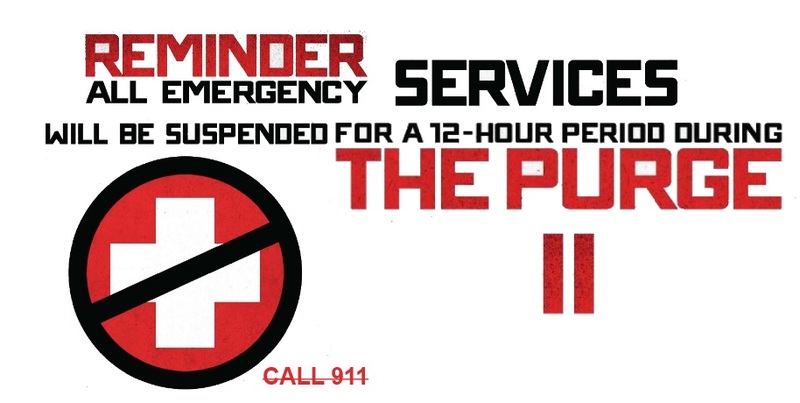 Reminder: All emergency services will be suspended for a 12-hour period! Universal Pictures announced the release date of The Purge 2, the upcoming sequel to the horror thriller movie starring Ethan Hawke: The Purge 2 will hit theaters on June 20, 2014. Director James DeMonaco, who wrote and helmed the first installment, is returning for the sequel. Unfortunately we don’t know the cast yet though, and the plot is still kept secret. I for one would love a prequel focusing on the first purge. What about you: do you want a direct sequel or a prequel? Release date: June 20, 2014.